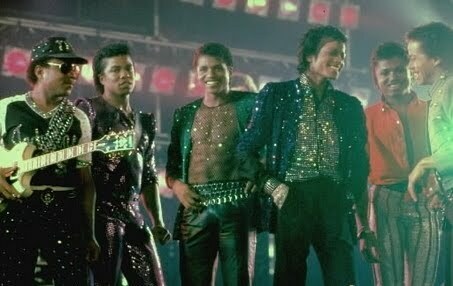 1979 - The Jacksons perform a concert in Frankfurt, Germany on Destiny tour. 1980 - Michael attends the 12th Annual NAACP Image Awards at the Hollywood Palladium. The Jacksons won the Best Singing Group of the Year award. 1984 - Filming of the second Pepsi commercial "Concert" concluded at the Los Angeles Shrine Auditorium. Real terror struck during the filming when a spark from the bombs [for pyrotechnical effects] set his hair on fire. Michael suffered second and third degree scalp burns. At 6:00 PM, director Bob Giraldi called for another take of the scene with Michael dancing down the staircase. This was the last scene to be shot after four days of filming. Michael stood at his spot at the top of the stairs, and was told to stand there until the bombs went off this time, then make his descent. So after the pyrotechnics went off, Michael began to dance down the stairs. Suddenly he cried out in pain. A spark from the lightning effects had set his hair on fire. He pulled his jacket up over his head to try to put out the flames. Mass confusion followed. Fans and extras used in the audience were horrified as were his brothers and the crew. Jermaine initially thought Michael had been shot! The first to reach Michael to help was his personal secretary, Miko Brando, Marlon Brando's son, who quickly extinguish the flames, possibly saving the singer's life. Miko did smother the flames with his hands and suffered burns on his own fingers trying to put out the flames in Michael's hair. A fan from the audience applied an ice pack on the burn. Michael was rushed to the emergency room of Cedar Sinai Medical Center and was later moved to Brotman Memorial Hospital for treatment. Having been told a barrage of reporters and photographers awaited his arrival at the hospital, Michael told the ambulance attendants that he wanted to wear his glove when he was wheeled into the hospital. Somewhat badly burned, television news was on alert as Jackson was hospitalized overnight, footage of him being rushed from the ambulance on a stretcher – head bandaged, faced covered, hand glitter-gloved – played at regular intervals, an image that became as much a part of his legend as any of his staged performances. Michael had suffered a palm sized second degree burn on the back of his head with a smaller third degree burn the size of a half dollar at the center. It was a serious burn that reportedly could have burned through his scalp and killed him. Michael at first refused any pain killers due to his strong disapproval of any drugs. Later, he did give in to the extreme pain and accepted medication. 1986 - "We Are The World" win the "Song of the Year" award at the 14th American Music Awards ceremony held at the Shrine Auditorium in Los Angeles, Ca. Michael arrives half-way through the American Music Awards ceremony in company of Elizabeth Taylor, dressed in a green khaki uniform that looked like a cross between a Canadian mountie and a school crossing guard. American Music Award of Appreciation went to Harry Belafonte, who first conceived the idea to create a project for the relief of famine in Ethiopia. On accepting the award, he called Ken Kragen, Quincey Jones, Lionel Richie and Michael Jackson up on stage to share the award. 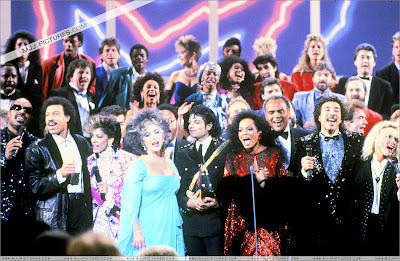 At the show's conclusion, most of the celebrities including Diana Ross, Janet & LaToya, reunited with them on stage to sing "We Are The World". Following the awards presentation, Michael, with Elizabeth Taylor, joined Lionel Richie and Brenda Richie for dinner. Michael took along his personal chef who prepared him steamed okra. 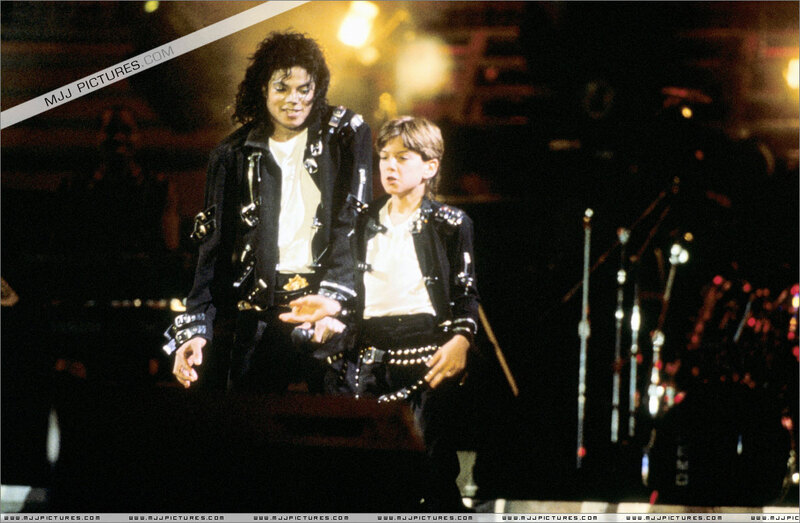 1989 - Michael played the 123rd and final show of the "Bad" tour at the Los Angeles Sports Arena. Michael Jackson's final performance of the Bad World tour. Los Angelese mayor Tom Bradley declared it "Michael Jackson Day" and presented Michael with the proclamation. Several celebrities showed up to wish him farewell. Among them were Raquel Welch, Michael Landon, Phil Collins, Dionne Warwick, Lola Falona, Tiffany, Diahann Carroll, Ava Gardner, and Sidney Poitier. 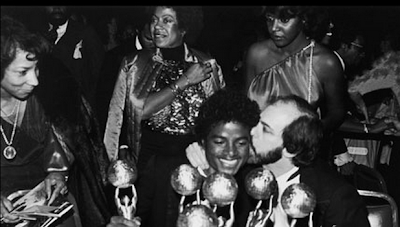 Many of Michael's closest friends were also there; Suzanne dePasse, Sophia Loren, Jane Fonda, and Smokey Robinson. Rebbie, Jackie, Jermaine, Janet and his mother, Katherine, were all there for Michael's final concert performance. Elizabeth Taylor and Diana Ross also attended the last show. One other very special friend visited Michael backstage that night, Bubbles. For this performance, Berry Gordy was again in the audience. Michael dedicated the Motown medley to Gordy, and at the end of the show he told the audience, "Ladies and gentlemen, there is a man here tonight who helped my career. He is Berry Gordy. Stand up Berry!" 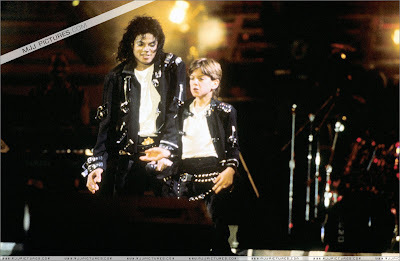 Among the children to join Michael on stage for this final performance was Jimmy Safechuck. Jimmy was dressed as Michael and performed the new sideways moonwalk right along side Michael. The "Bad" tour broke all existing records and became the biggest tour ever done up to that date. The "Bad" World Tour attendance figures total 4.4 million, making Michael's 16 month tour [September 12, 1987 - January 27, 1989], which played in 15 countries, the largest in history. The tour became also the highest grossing concert tour, grossing over US$ 125 million, more than any other entertainer has ever grossed on a single tour. The BAD tour was the 6th largest tour of the year in the US, playing in only 19 cities, the tour grossed $20.3 million. Michael will break his "tour records" a couple years later. During his European leg of the "Bad" tour, Michael was earning UK£ 3'425 a minute. Michael had negotiated a deal worth UK£ 20 million, of which he received 90% of the preceeds from all concerts. After paying his entourage of 140, he was left with profits of around UK£ 400'000 per show. The Bad World Tour was supposed to end on December 26, 1988, but Michael was forced to postpone five concerts at Memorial Arena in Los Angeles after suffering from swollen vocal chords following his performance there on November 13, 1987. Those final five shows were held between January 16-27, 1989, bringing the massive 16-month odyssey to an end. Between September 12, 1987 and January 27, 1989, Michael had performed 123 concerts to a total of 4.4 million people, grossing a total of $125 million, a sum that earned him yet another entry in the Guinness Book of World Records. Along the way, he made numerous large charitable donations and frequently invited underprivileged children to see the show for free. 1990 - Michael receives the Entertainer Of The Decade award at the 7th American Cinema Awards held at the Beverly Hilton Hotel in Beverly Hills, Ca. The American Cinema Foundation awarded special honors to three entertainers. Elizabeth Taylor and Gregory Peck were honored for their career achievements in films. 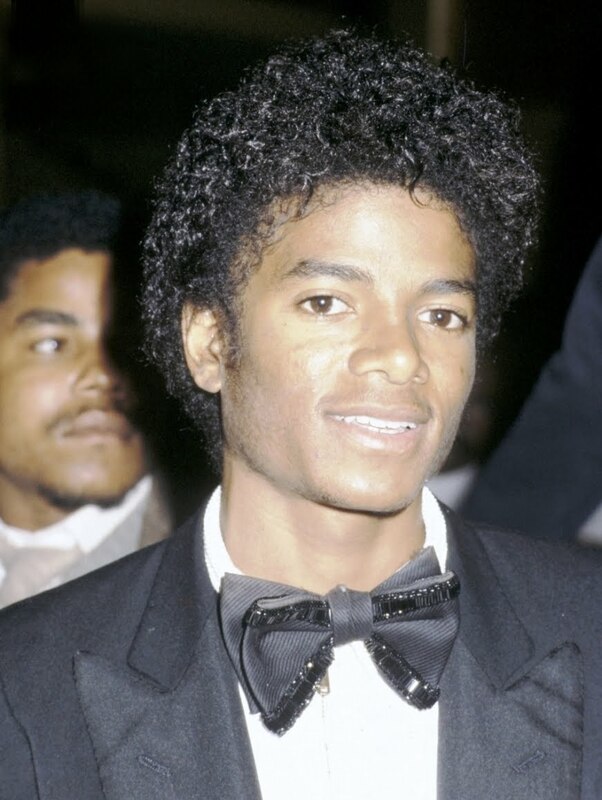 The Entertainer of the Decade honor was awarded to Michael Jackson. Among Michael's guests at the award presentation were Janet, Tito, and Jermaine. The award ceremony was a little late getting started, as Michael showed up two hours late. When he finally showed up, dressed in a red shirt, and black military jacket, Sophia Loren presented Michael with his award, and he gave an incredible three minute speech. "I'm giving a long speech because I'm not on television." In fact, no cameras were allowed to film him. In his speech, Michael spoke of his deep affection for fellow honoree Elizabeth Taylor. Taylor had had similar praise for Michael in her own speech saying she was happy to be honored with "my beloved Michael, whom I would have loved and admired if I had never seen him dance or heard him sing." 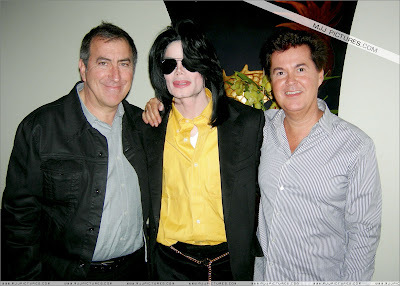 2007 - Michael has dinner with UK producer Simon Fuller, Emmy award winning director and choreographer Kenny Ortega who choreographed the HIStory tour and US journalist Robin Leach at "Wing Lei" Chinese Restaurant at Wynn in Las Vegas. Both Michael and Ortega have been associated with Steve Wynn. Michael was often a guest of Wynn's at The Mirage and there was talk that Wynn was bringing Michael back to Las Vegas. This entry was posted on 27 January 2011 at Thursday, January 27, 2011 and is filed under 1979, 1980, 1984, 1986, 1989, 1990, 2007 . You can follow any responses to this entry through the comments feed .